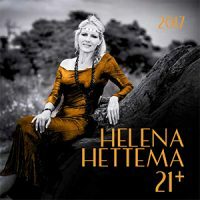 Award-winning cabaret artist, singer, songwriter and actress, Helena Hettema launches her new album “21 plus (2017)” on stage, at the Atterbury Theatre on 16 September 2017. The performance will celebrate 22 years since her first CD “Fool’s Gold” was launched to critical acclaim by the then JNS. The title track features her former band “Golden Fleece” with Alwyn van Heerden (piano) Lindsay Liebenberg (bass guitar), Hennie van Jaarsveld (guitar) and Paul Greyling (drums). 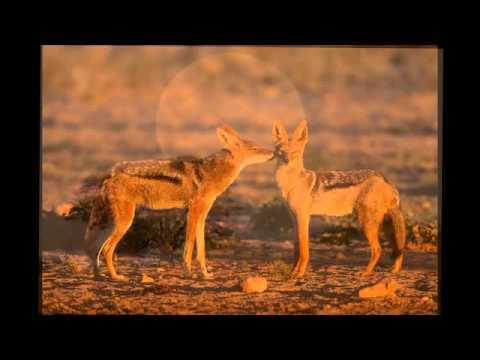 A video of this song about the poverty in evidence in the streets of Egoli was made and aired by SABC 2 as well as “Touch of Green” with seSotho, isiXhosa, English and Afrikaans words, and about conserving the planet. At the launch of the new album, the exciting three-sister group, “Con Grazia” that walked away with a “Ghoema Award” earlier this year, will feature on saxophone, violin, flute and backing vocals with Helena. They also feature on the 2017 CD in the song “Silly cyber tango dans”, a spoof on the sms craze, Leonard Cohen’s “Dance me to the end of love” and a duet of “If we only have love”. The first half of the show will cover Helena’s early years and first songs she wrote such as “Skadudans”, “Papermen”, “Fool’s Gold”, “Mother of Mine” and “Tolbos in die wind” written for the “Sonkring” TV series and other songs featured on the CD, “Helena Hettema Highlights” which was nominated for a SAMA (SA Music Award) as well as her days with Anton Goosen’s group the “Kommissie van Ondersoek”. One of the highlights was their performance at “Houtstok” in front of 20 000 spectators. 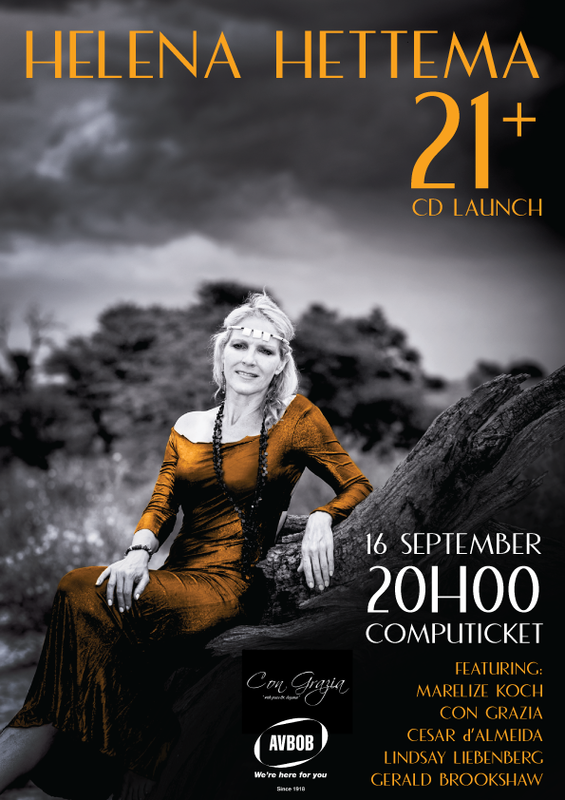 Lindsay Liebenberg of her band “Golden Fleece” will feature at the launch as guest artist with Gerald Brookshaw, of the two-man band “Friendship”. She will also cover songs of longing written during her time in Bologna, Italy in ’96 such as “Jasmine Lament” and her time in London in ’97 in the form of “Divided Heart”, written on Brighton Beach. 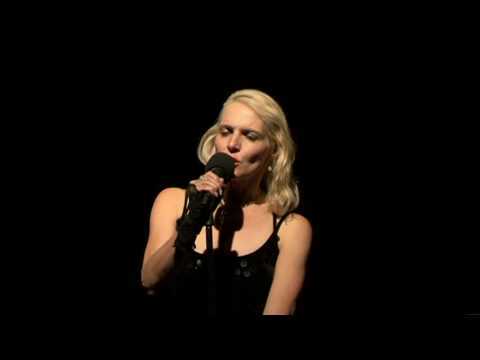 In the second half she features her latest penned songs such as “Silly cyber tango dans”, an Afrikaans/ English song about the superficiality of the cyber world and the fickleness of its users, “Mio Cuore, NY” and “Adrenaline Rush” respectively about the magic of NY and the thrill of riding a motor bike, written with Marguerite van Reenen. Helena also pays tribute to her father with the song, “A thousand winds that blow” (based on the poem, “Do not stand at my grave and weep”) for which she wrote the music earlier this year. She will be accompanied by her brilliant pianist, Marelize Koch and César de Almeida, of the studio César’s Sound who has been responsible for the engineering and production of all her CDs (excepting “French Legends”-Sony BMG) will feature as guest artist in a duet with Helena on the Neil Diamond hit, “September Morn”. Helena dedicates this show to three people who shared her life and stage: André Wessels, her pianist of seven years who passed away in 2015 and for whom she composed the music of “Strength for the Day”, (words by Annie Flint),close associate and friend singer/songwriter Eugene Vermaak who died last year on 28 June, and her beloved father who sang duets with her, Jan Hettema who died tragically on 29 June 2016. Helena has been nominated among others, for two SAMAs, has received a Laureate from her alma mater, the University of Pretoria for her contribution to the performing arts, and the SABC 2 Geraas Award for best solo female artist for her CD “Divided Heart”. AVBOB has generously sponsored Helena for the launch and performance in the state-of-the-art Atterbury Theatre in Pretoria. 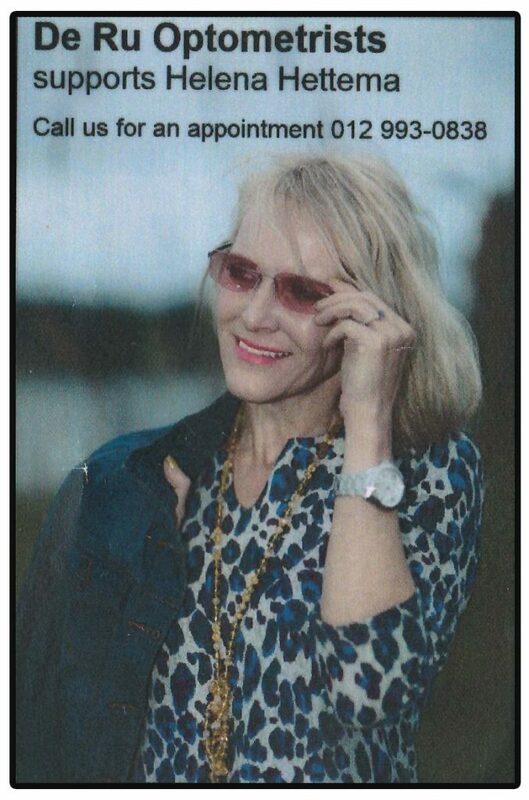 She also received a generous donation from de Ru Optometrists, Pretoria. Bookings: Computicket/ Atterbury Theatre – (012) 471- 1700.